Responsive Website Redesign on the Drupal CMS. 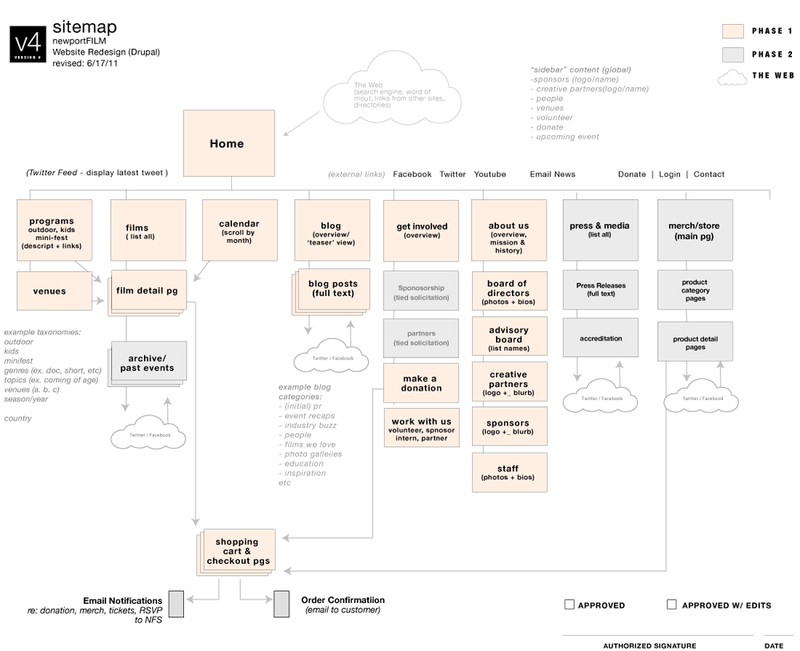 Drupal migration and e-Commerce. e-Commerce web design on the Drupal platform optimized for mobile devices. newportFILM brings world-class independent film and events to the Rhode Island community. A non-profit comprised of film lovers and community activists, newportFILM needed to differentiate their brand from other festivals in town. As a new organization, they needed to create engagements, sponsorships and participation from the Newport community. Working through discovery, prototyping, design and implementation sessions, Rubic wanted the site to be a central and cost-effective source for online ticketing, promotion and sponsor/partner opportunities. With a wide target audience, we found smartphones outweighed laptop and desktop computers as web visitors' device of choice. Rubic designed a mobile-friendly e-Commerce website whose look and feel could be refreshed year-to-year, along with easily managing upcoming and past events (archived automatically). We applied Drupal’s taxonomy feature to allow films to be viewed by category (outdoors, green screen, kids). 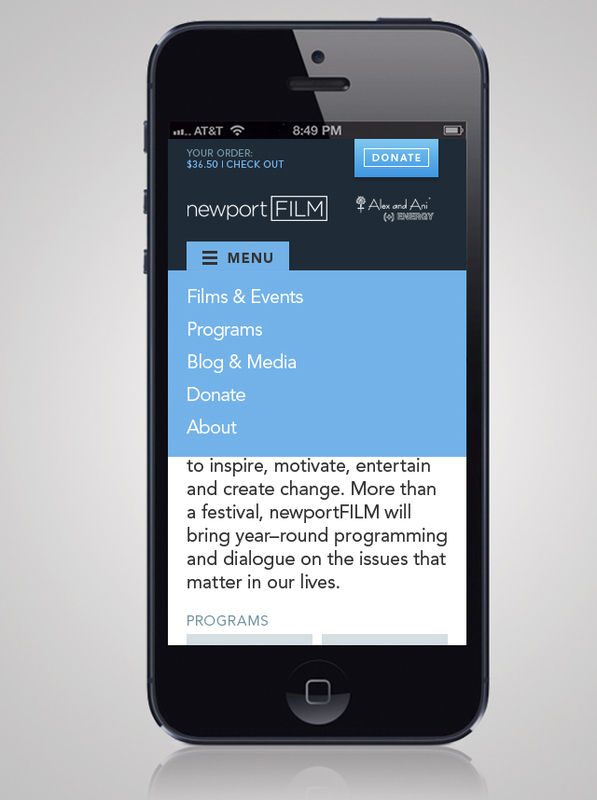 Video and photo galleries are integrated into pages and easily shared across newportFILM’s social media sites. 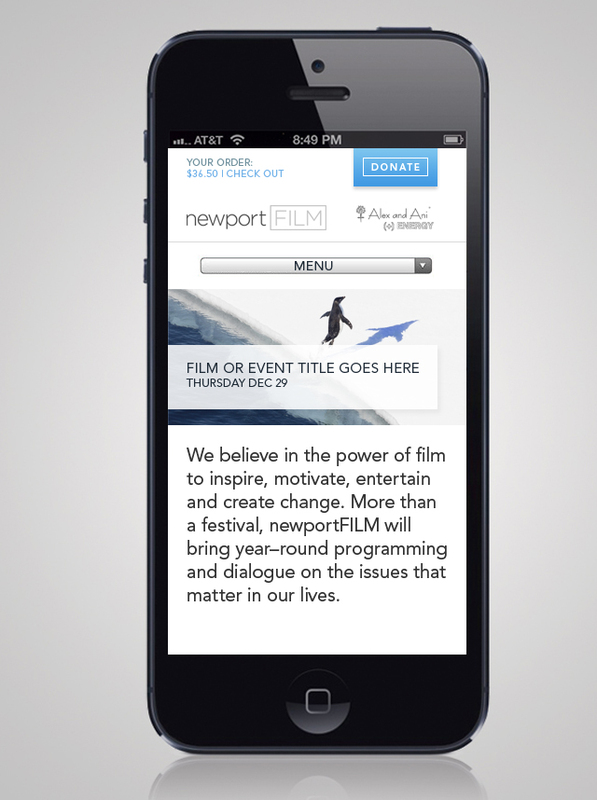 newportFILM’s Facebook and Twitter following, and website traffic skyrocketed during the first year online. Their Facebook presence alone jumped from 150 to over 3,000 followers in the first year, largely in part to its integrations with the website. Rubic created a flexible e-Commerce system that allows newportFILM to easily control ticket SKU's, prices and stock. Many films and events are free to the public, so Rubic integrated a RSVP webform for those instances, collecting information that newportFILM uses for guest lists. After two years of successful engagement online, Rubic continues to support and enhance newportFILM's online presence. We've added greater visibility for their growing sponsor and partner programs and rich-media features like director interviews and Instagram imagery posted to the site in real-time. Extending normal e-Commerce ticketing, Rubic integrated calls to action where attendees could add micro-donations as they purchased tickets or RSVP'd online, creating a new and significant revenue stream for the nascent non-profit.